The BMW i8 is an electric-hybrid supercar that’s in such demand, secondhand examples are changing hands for more than the official £99,845 list price. The waiting list for new models is also two years long – and both are reasons why many car fans will be watching the BCA Top Car Sale auction at Blackbushe next Monday, 23 February. Finished in white with 20-inch alloys, with a matching Carpo Light white leather interior, the London Congestion Charge exempt car has covered just 52 miles: it’s effectively brand new, although it does wear a 64-plate registration. Why it’s come up for auction rather than being sold to an eager buyer for a healthy premium is not clear, but bidding at the auction is expected to be swift from those keen to beat the waiting list. 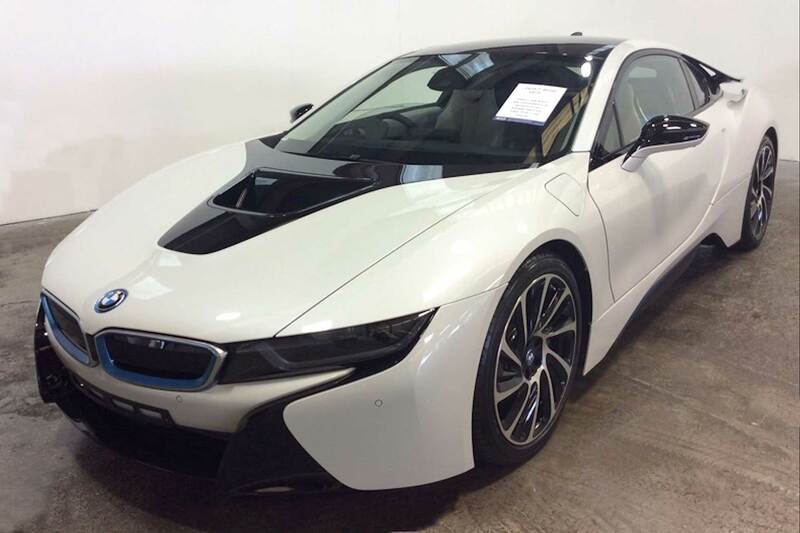 Which begs the question: how much more than the £100k list price could the ‘pre-registered’ BMW i8 make?